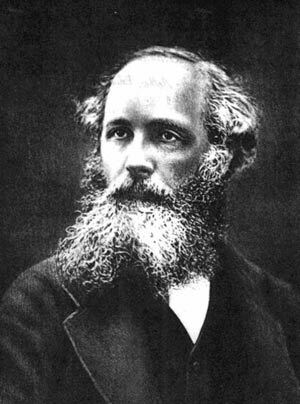 James Maxwell was one of the world’s most influential physicists. In particular, he made great strides in helping to understand electromagnetism and produced a unified model of electromagnetism. His research in kinetics and electricity laid the foundations for modern Quantum mechanics and special relativity. 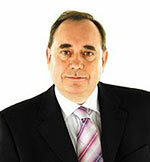 James was born in Edinburgh, Scotland in 1831. From his early childhood, he displayed a natural inquisitiveness, always asking how things worked and moved as they did. In 1847, he moved to the University of Edinburgh where he studied classes on logic, mathematics, and natural philosophy. However, like at school, he was more interested in pursuing his own studies outside the curriculum. He investigated the properties of polarized light and prisms; he also began his early investigations into electric and magnetic equipment. Aged 18, he presented another two scientific papers – though as he was considered too young, it was delivered to the Royal Society by his tutor Kelland instead. In 1850, he moved to Trinity College, Cambridge, and studied mathematics under the great tutor – William Hopkins. Maxwell graduated with a top degree in mathematics and was able to pursue his own research interests. At the time, this included investigating the properties of colour. He delivered his first lecture to the Royal Society Of Edinburgh in March 1855 on his Experiments on Colour. In the same year, he was made a fellow of Trinity. But, shortly after, in 1856, an opportunity arose to take the Chair of Natural Philosophy at Marischal College, Aberdeen – he applied and took it. He married Katherine Mary Dewar in 1857. At Aberdeen h, spent part of his time lecturing and marking exam papers, but he still had the opportunity to pursue other areas of research. He was able to display his considerable talent, by providing a theoretical explanation for Saturn’s Rings, it also earned him £130 and the Adams Prize from St John’s College, Cambridge. “This velocity is so nearly that of light, that it seems we have strong reason to conclude that light itself (including radiant heat, and other radiations if any) is an electromagnetic disturbance in the form of waves propagated through the electromagnetic field according to electromagnetic laws.” A Dynamical Theory of the Electromagnetic Field (1864), §20. In 1871, he moved back to Cambridge, working on the development of the Cavendish laboratory. He died in of abdominal cancer on 5 November 1879 at the age of only 48 . The observation electromagnetic fields travel at the speed of light showing the connection between light and electro magnetism. Writing equations for electromagnetism. Later known as Maxwell’s equations. The concept of the electromagnetic field, which was later worked on by Albert Einstein, leading to his theory of special relativity. His work on optics and colour, which laid the foundations for practical colour photography. Control theory relating to centrifugal governor used in steam engines. 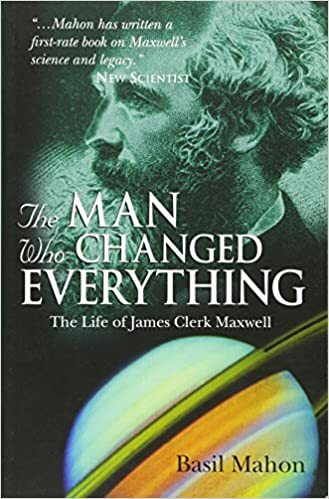 James Maxwell is considered by many to be the one of the three greatest ever scientists. On a par with Isaac Newton and Albert Einstein. Einstein said he had a photograph of Maxwell, Michael Faraday and Newton in his study. Citation: Pettinger, Tejvan. “Biography of James Clerk Maxwell” Oxford, UK www.biographyonline.net 23rd Nov 2013. Updated 25 January 2018. Famous Scottish people – Influential men and women including Robert the Bruce, Alexander Fleming, John Logie Baird and William Wallace.